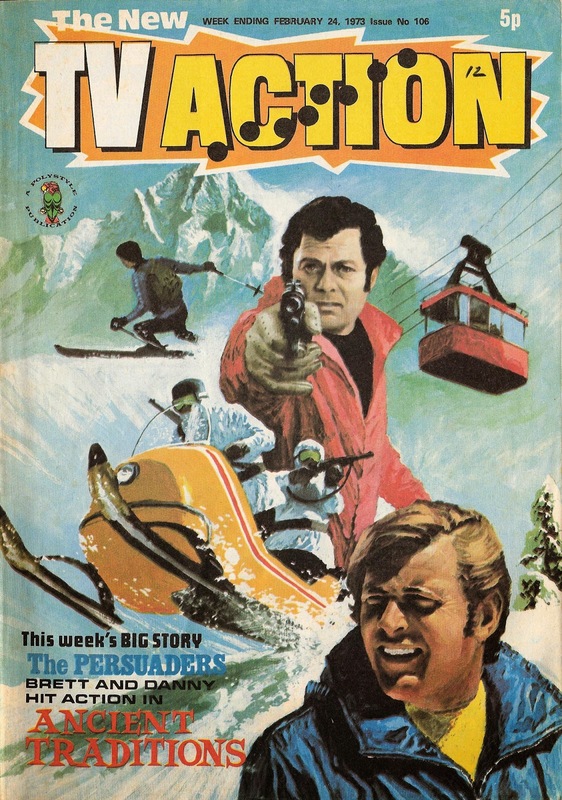 The Persuaders was a souffle of silliness, coasting by easily on the joint, effortless charm of both leads. 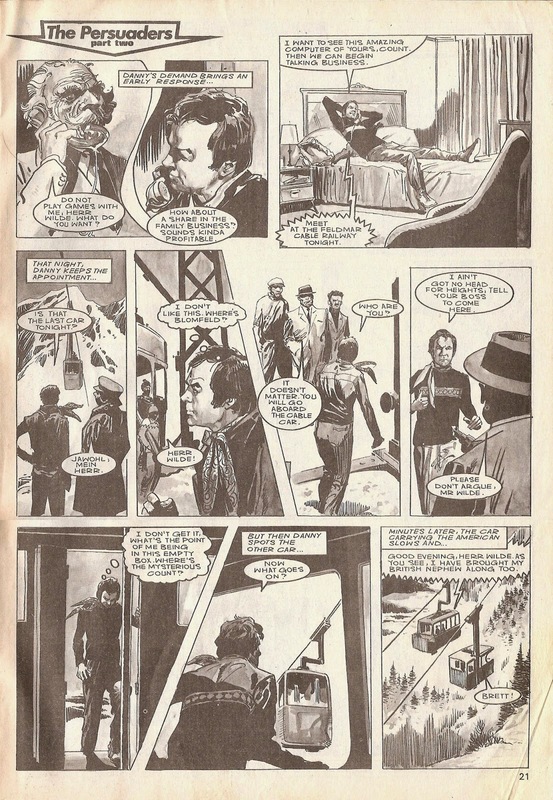 Curtis, in particular, was a master at getting the audience to share the joke with him. 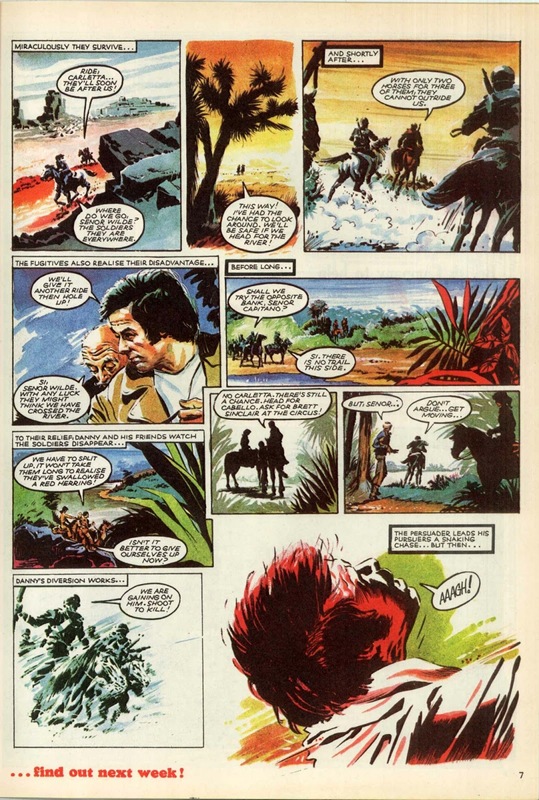 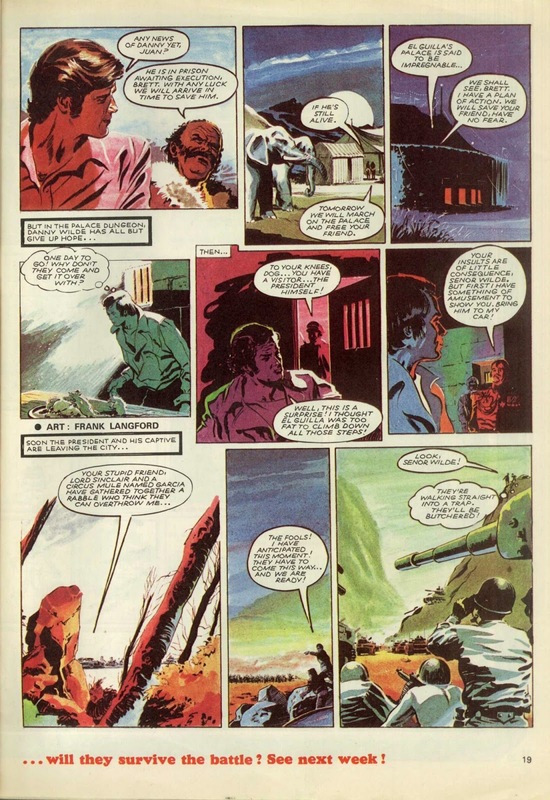 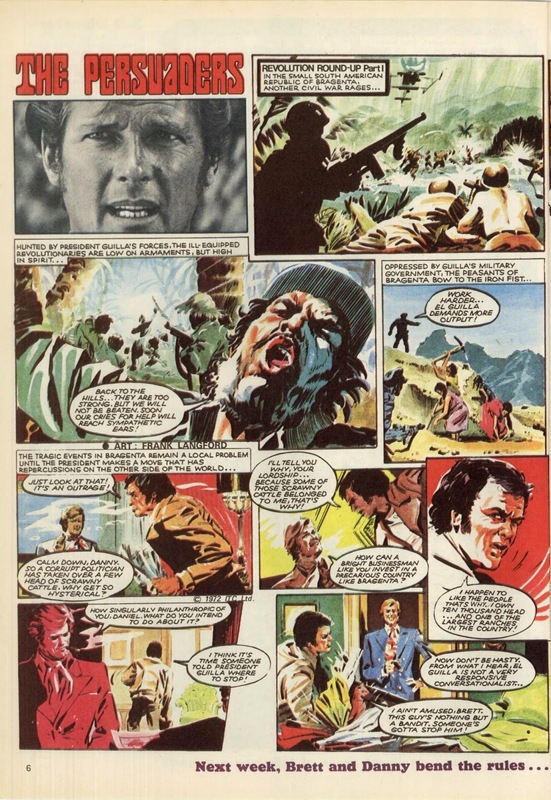 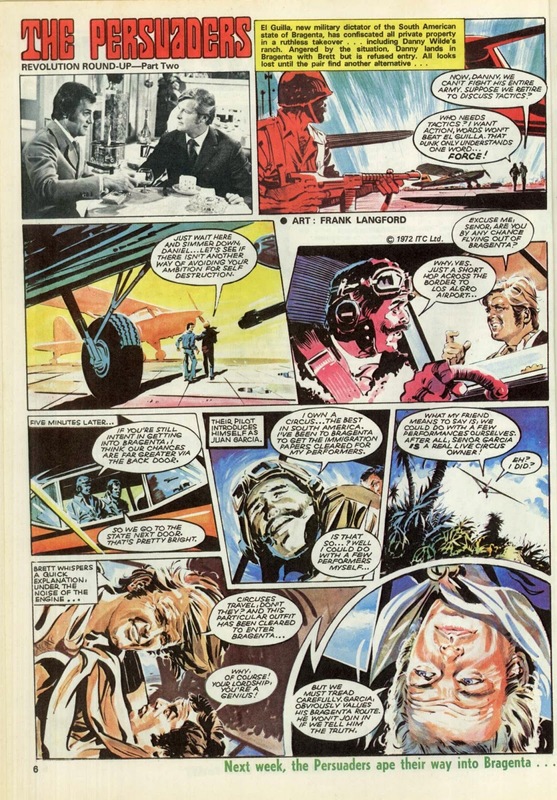 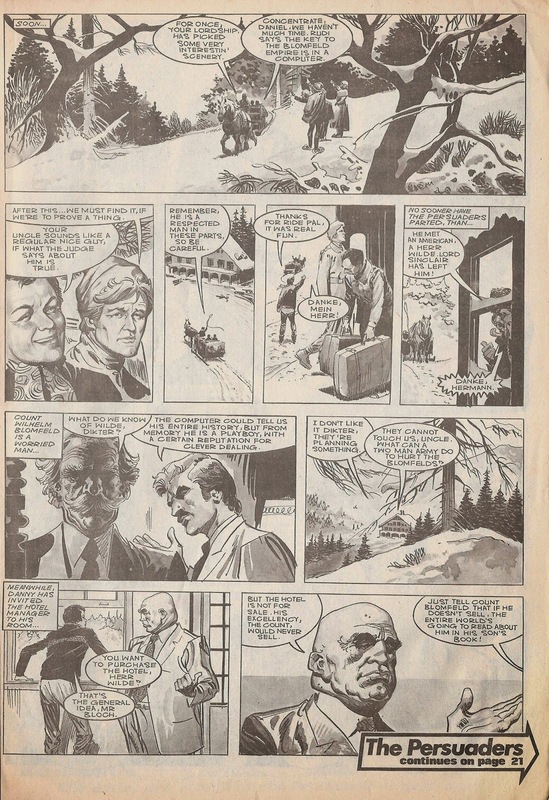 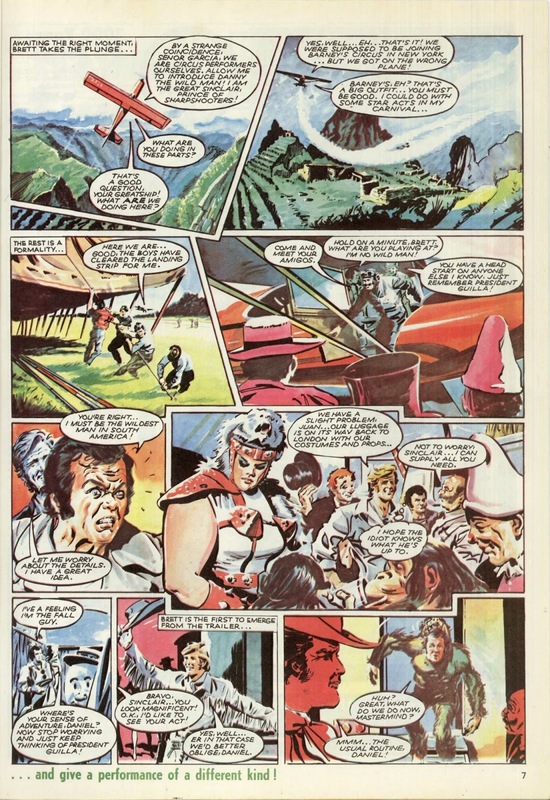 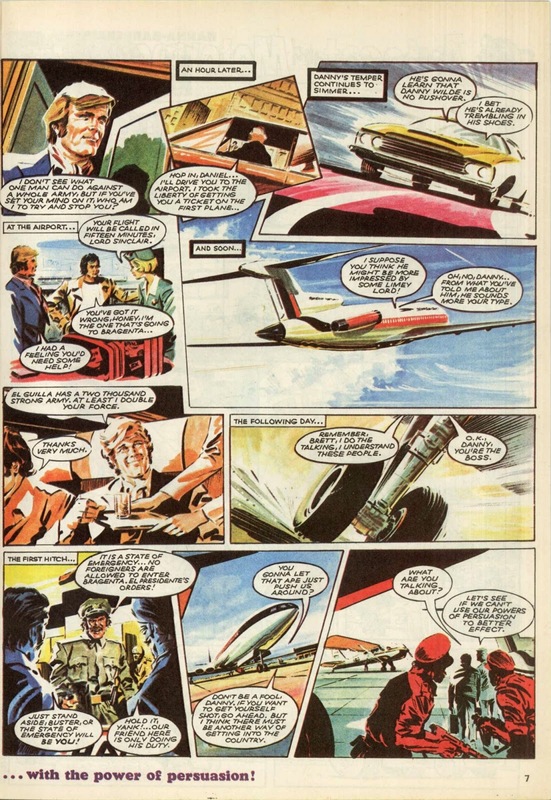 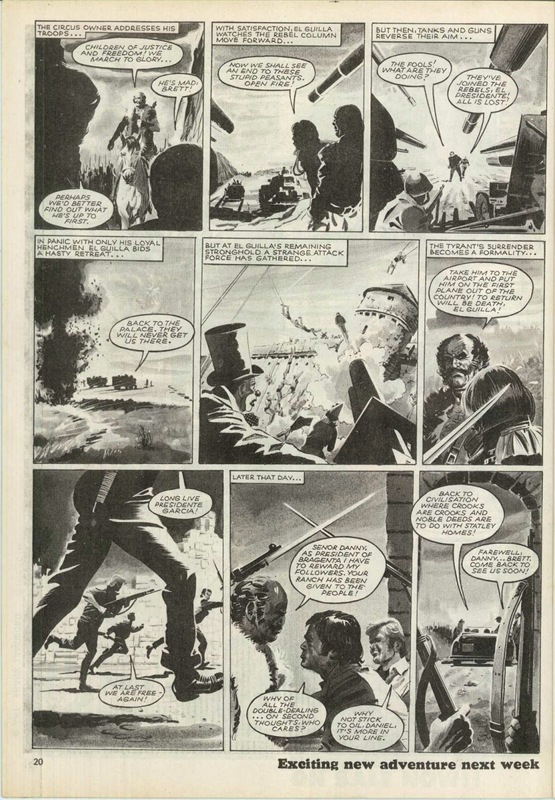 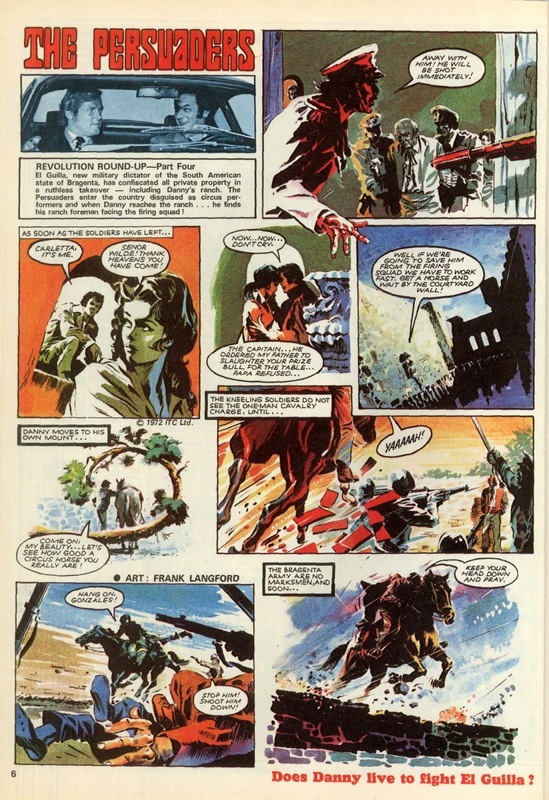 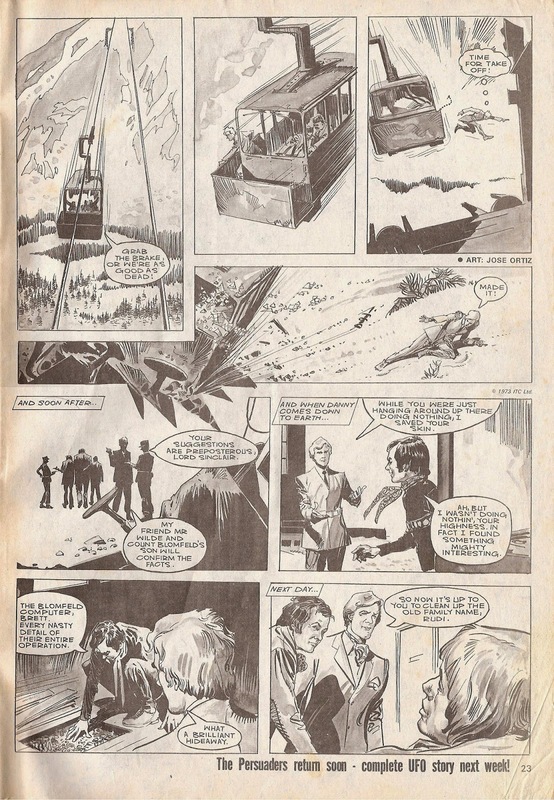 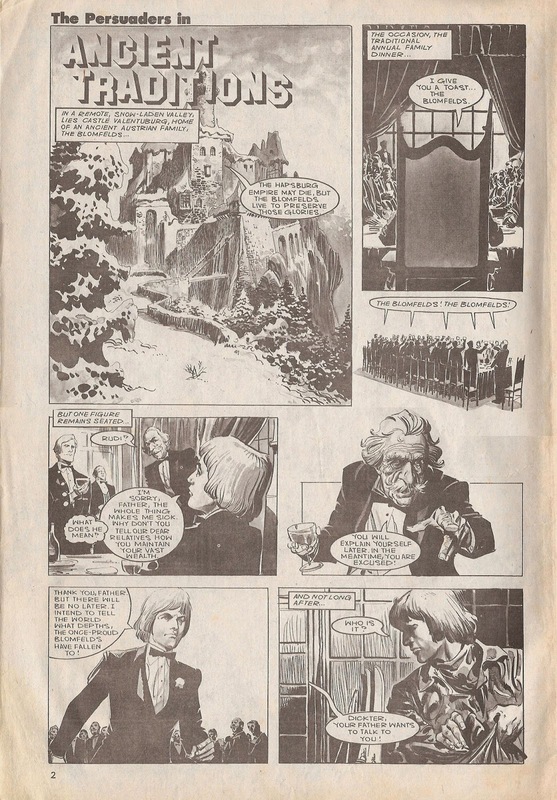 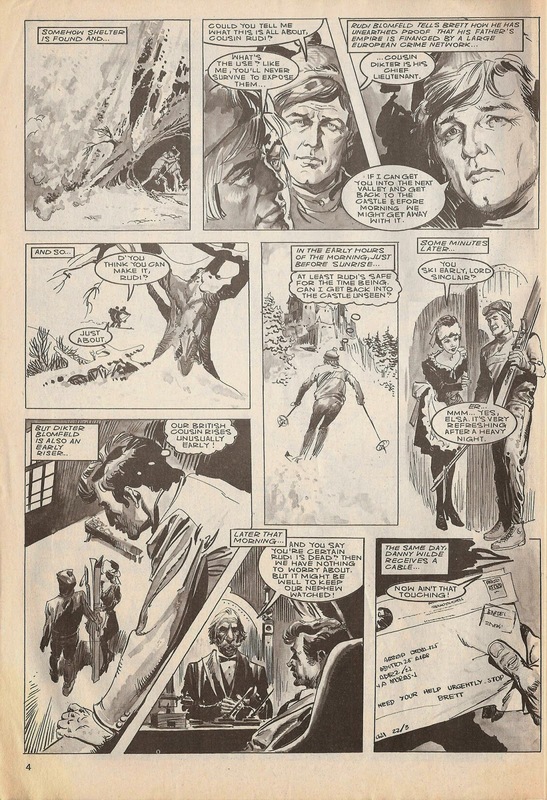 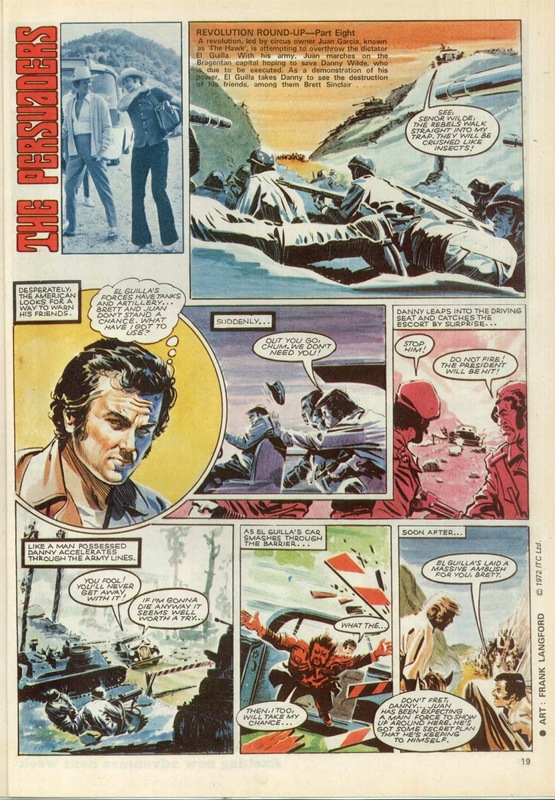 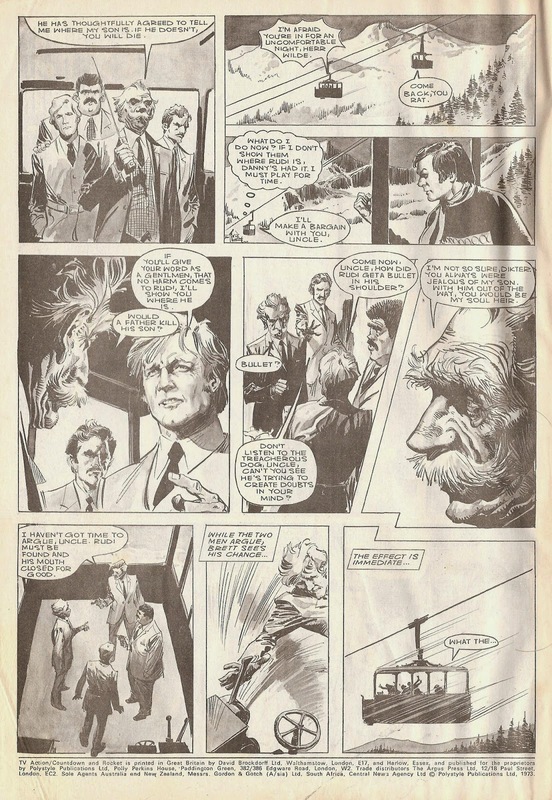 The subsequent comic strip was a mainstay of Countdown and TV Action, and was mostly drawn by the great Frank Langford. 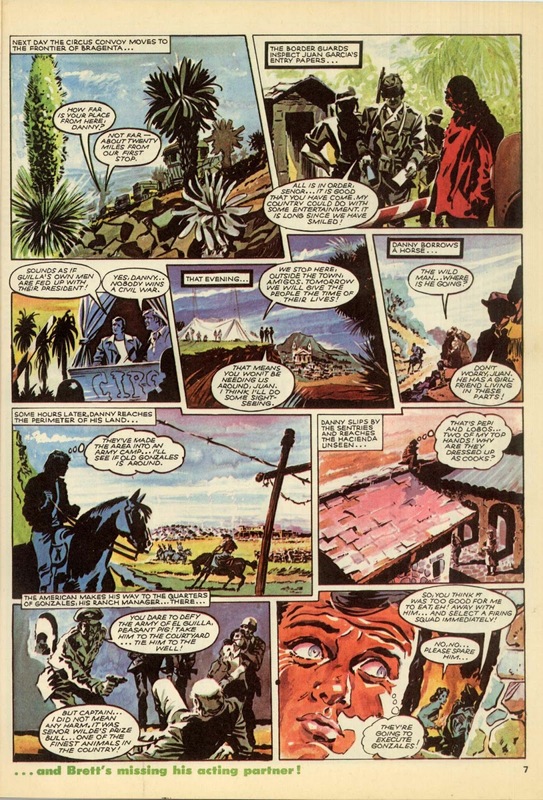 But here we have, weirdly, Jose Ortiz stepping in for a one-off. 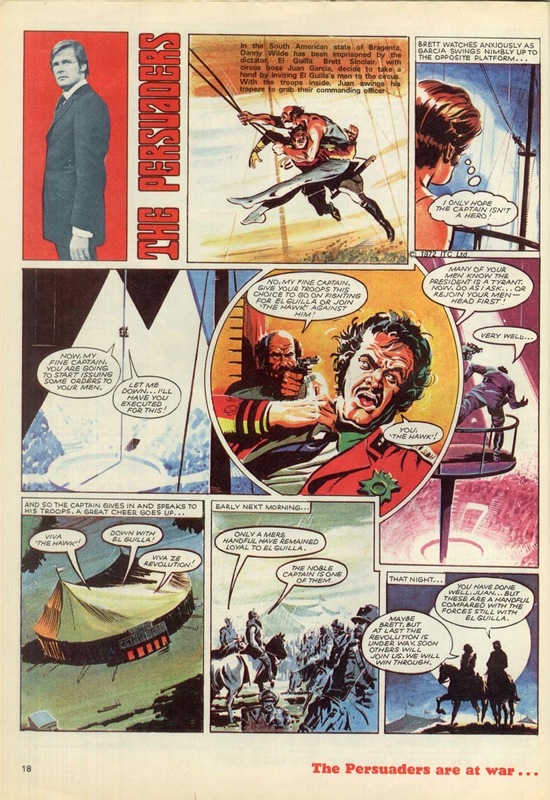 I say weirdly because, great artist though he is, and great piece though this is, I don't know as I'd've chosen him for a piece of froth like The Persuaders. 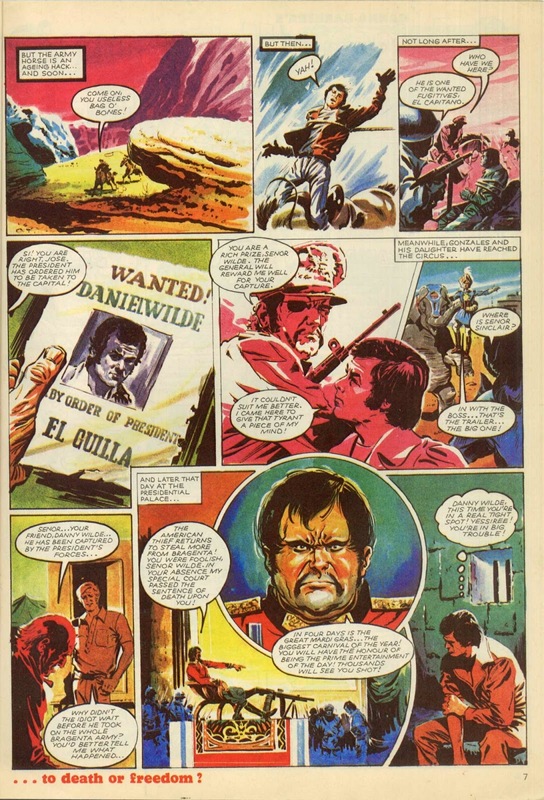 Maybe it's all those Warren horror stories of Ortiz' in my head, but it seems like miscasting to me. 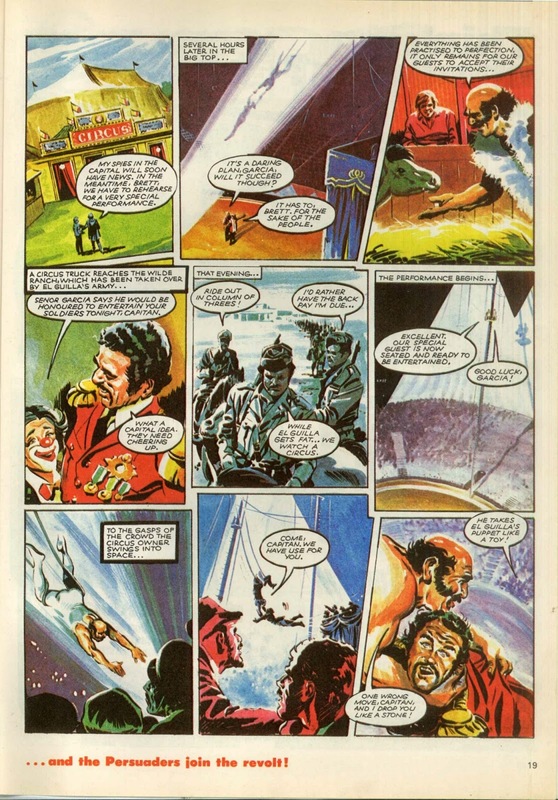 Here's the more appropriate Langlord, with Danny & Brett getting involved with a South American revolution, and finding time to join the circus. 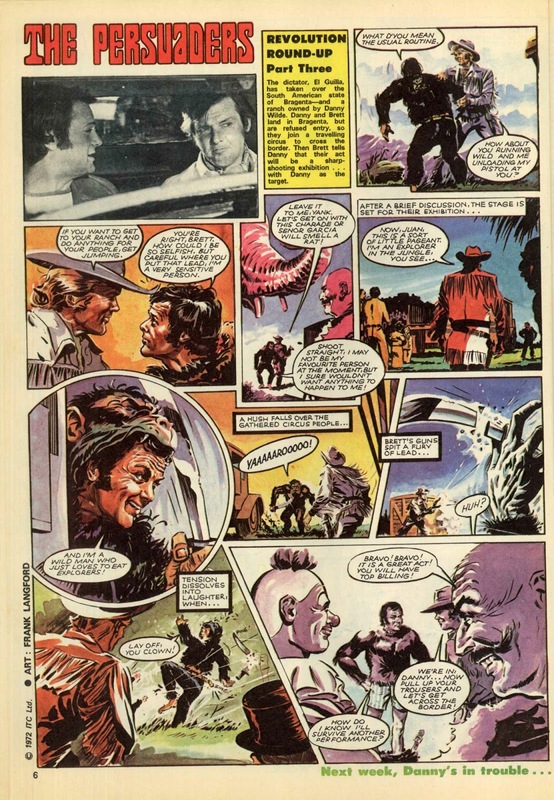 Anyone who's ever wanted to see Tony Curtis dress up as a gorilla, your time has come. 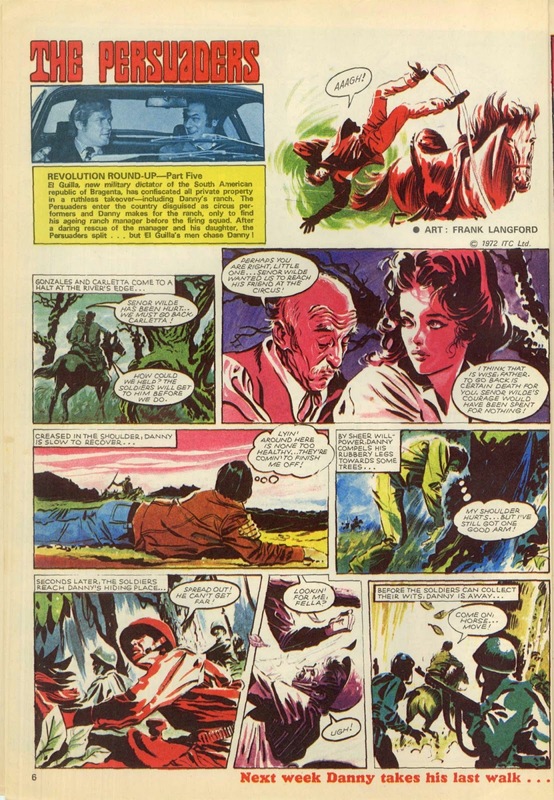 My better half is German, and told me that back home, the show was called Der Zwei, and very popular - it was only after seeing it in the original English that she was able to explain that the two fellows that did the dubbing into German tended to add lots of little asides not in the original script that helped make it a hit. 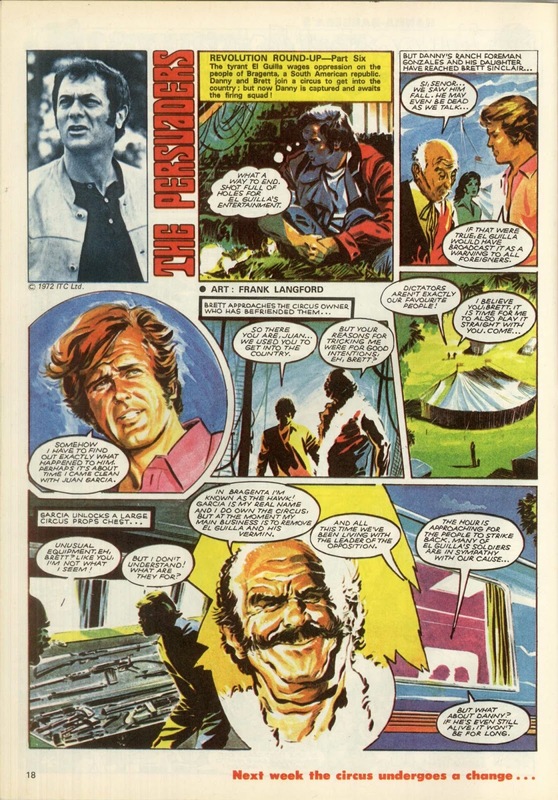 So The Persuaders was Germany's version of The Magic Roundabout?